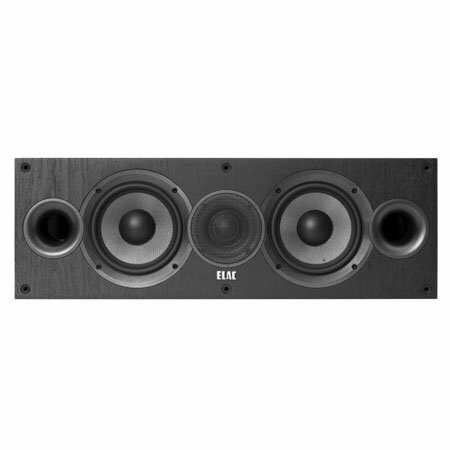 El nuevo altavoz central Elac Debut C5.2 con los puertos frontales duales que permiten la colocación contra la pared sin comprometer las frecuencias de graves. 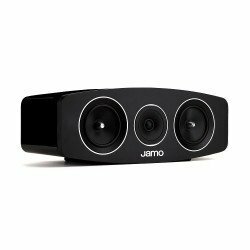 The aesthetic of Jamo’s flagship Concert Series was envisioned by Kieron Dunk, world-renowned industrial designer. 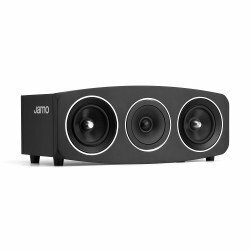 Concert Series’ beautiful exteriors house high-performance drivers, acoustically tuned to provide open, transparent playback of movies and music. 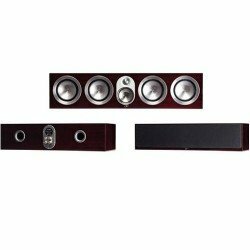 Warm, natural sound is delivered throughout the environment, enveloping the listener. 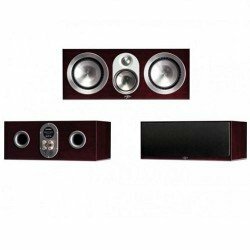 The C 9 CEN is a 2-way bass reflex center channel speaker using two 4-inch woofers and a 1-inch decoupled tweeter to deliver remarkably accurate sound. The C 9 CEN is available in Satin Black, Satin White and Dark Apple finishes with satin-painted MDF baffles for a premium, contemporary appearance.